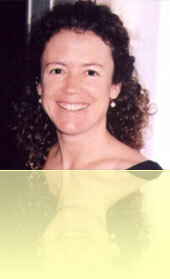 I trained as a Feldenkrais practitioner in Switzerland with Elizabeth Beringer, graduating in 2005. Since, I have studied extensively with senior practitioner Dr Ralph Strauch PhD, California, U.S.A, in the use of somatic methods, the Feldenkrais Method, and internal martial arts, for working with emotional trauma. In 2013 I gained my accreditation as a Holistic Counselor and offer Somatic Counselling sessions..
Certifed Authentic Leader & Relationship Counsellor, Osho Active Meditation facilitator, Osho Talking to the Body/Mind facilitator, Osho Tantra teacher, Reiki I & II, British Horse Society Assistant Instructor. I hold certification at a basic level in both Therapeutic and Ayurvedic Massage. Meditation, Inquiry work, Surfing Chi Kung, Tai Chi, ShinTaiDo, Ki Aikido, Latihan/Authentic Movement, 5 Rhythms, Wild Swimming and Walking. I practised Yoga for about 15 years, and taught it for 3 years. I worked as a Cook for about 10 years, much of the time on large Sailing yachts, I sail, windsurf, snorkel. I grew up with horses, had my own, competed to a national level in eventing, and trained young/problem horses. I took up surfing at the age of 56 and am getting better at it. Taking up a new sport later in life is a wonderful way to practise what I preach: 'Less is More' and that reducing effort is a great way to improve movement skills. The Feldenkrais Method is the best medium I've found for sharing what I've learned about healing the body/mind - the human system. - of which I've had to do plenty myself for myself. In 1995 someone showed me a simple technique to help my neck pain resulting from a riding accident - later, I learned that it was from Feldenkrais. This simple, 5 minute, technique changed my life. Immediately, I had some control over the physical pain – for the first time in maybe 15 years, I felt empowered and in control of my life again. I could do this technique by myself, anywhere, anytime. I began to see that a future without pain as the ruler of my life, was possible. That was how Moshe Feldenkrais defined a healthy person - "a healthy person has the ability to recover quickly and easily from the knocks and shocks that life brings, and dares to aspire to his vowed or unavowed dreams". (I’m paraphrasing here...) And so began my journey with Feldenkrais. My more recent training as Holistic Counsellor came out of a wish to gain more 'emotional literacy' and I trained in Europe with Rafia Morgan and Turiya Hanover of www.WorkingwithPeopleTrainings.com - where there was a strong emphasis on meditation and inquiry, and Essence work, as well as Somatic work, in the counselling training. My thesis topic was 'A Movement Between Trauma and Essence'. I enjoy sharing what I have learned on my journey with others, both teachers and students/clients. It is my passion, my profession, and my pension! I know it will help me grow older more gracefully and provide me with much inspiration and good companions along the way. "The improvement a human being can gain through movement is open-ended." - Dr M. F.